Sometimes there is absolutely no rhyme or reason for what I wear. Sometimes I stand in front of my closet for what feels like an hour, pondering over what to throw on. I reeeeeally wanted to wear this textured white sweatshirt but short sleeves aren't exactly conducive to December weather in New England. 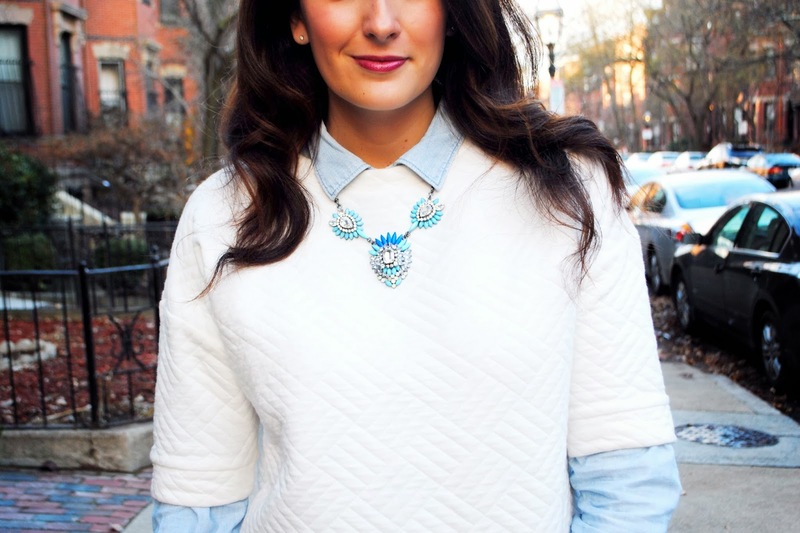 So out came the go-to layering piece -- my chambray shirt. And then came the coated denim pants I've been afraid to wear (no idea why, they're actual super comfortable for looking like they've been painted on...) And there you have it. My typical morning routine. Excellent layering class, doll- love the way this look turned out!